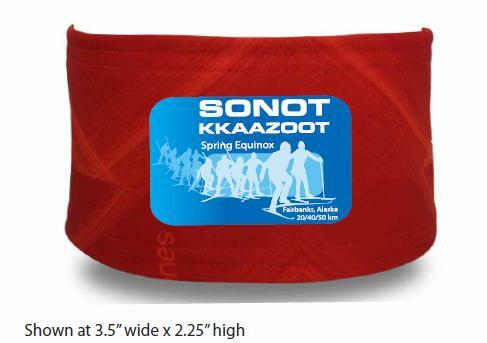 Technical fabric long-sleeved t-shirts and headbands with Sonot Kkaazoot design created by Fairbanks artist Dee Dee Hammond will be for sale at bib pick-up and at the Sonot Kkaazoot Awards Ceremony. 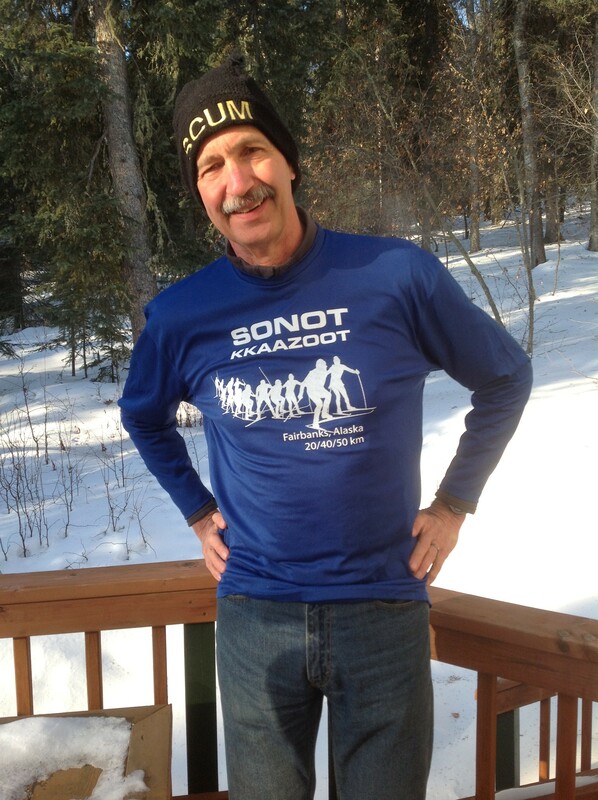 The t-shirt modeled here by Frank Soos will be sold for $20 to race participants and volunteers; $25 for all others. High tech fabric headbands (in white, blue, or orange) with Dee Dee’s design in multi-shades of blue will be sold to race participants and volunteers for $12 each, or $15 for others. 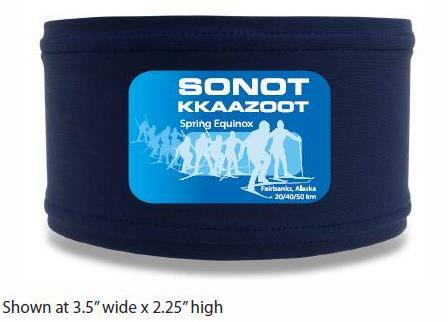 We will be able to take cash or personal checks for Sonot Kkaazoot swag. If an out-of-town skier cannot make either bib pick-up or the awards ceremony, and would like to purchase a shirt or headband, leave us a message in the comment section and someone will get back to you.